It is only after homeowners submit a claim to their insurance companies that many find out that what they thought would be covered is not under their current homeowner's policy. Avoid being taken by surprise by know what is generally covered and what will not be covered under a selected homeowner's policy. There are different policies available including the most basic of homeowner's insurance. Understand more about what damage may not be covered in a standard Old Town Alexandria home insurance policy. Homeowners need to take the time to understand what types of damage will be covered in their regular homeowner's insurance policy when they buy their home and have it insured. In a recent survey, 81 percent of policyholders knew that flooding was not covered by their policy. Flooding and earthquakes may be two potential hazards that can inflict serious damage yet be excluded from the majority of policies. Do not wait until it is too late to get necessary coverage. Homeowners can be out thousands of dollars or more when coverage does not extend to specific kinds of damage to their home. Prior to relying on a basic homeowner's insurance policy, learn whether or not additional coverage may be necessary for a home located in a specific area. 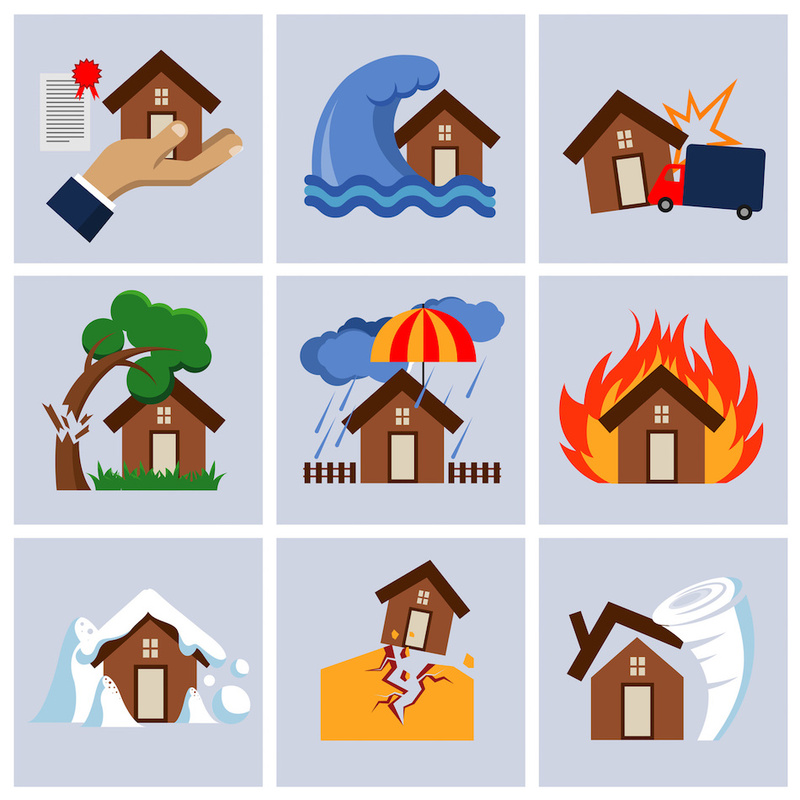 Homes located in areas often hit by storms, floods or hurricanes may need additional coverage. A standard home insurance policy often does not cover the following hazards. Mold is a serious issue that can impact a homeowner's health and depreciate home value. However, in most cases coverage for mold damage is either limited or excluded. Homeowners may need to pay extra and get an endorsement to expand limits. Sewer backup can happen to homes depending on out-of-date and aging sewage systems. Pipelines that are overwhelmed in rainstorms and tree roots can cause problems. Sewage backups can damage electrical systems, floors, walls, and furniture. Sinkholes are known to swallow vehicles and more. These sudden gaps cause problems in Pennsylvania, Tennessee, Kentucky, Missouri, Alabama, Texas and Florida. Earth movement exclusions are in standard insurance policies in every state except for Florida. Termites are a problem known to cause $5 billion in damage to Americans annually. Policies are not known for paying for termite damage. Early intervention is the best way to avoid significant structural damage. Nuclear plant accidents may be an issue for Americans living near active nuclear power plants. Standard policies will not cover a claim if a home becomes uninhabitable due to an accident. The Price-Anderson Act provides compensation for those suffering from injuries or damage due to a commercial nuclear accident. Claims covered include property damage and loss, disease resulting in death, sickness and bodily injury. “Acts of war” and terror attacks are generally not insured. However, damage from smoke, fire or explosions are covered. Homeowner's insurance can cover potential losses and damage a homeowner may experience in terms of their house and assets. Homeowners are often aware of the need for this policy to protect themselves against someone potentially getting injured on their property. However, many homeowners fail to read the fine print and get the type of coverage they may need for the risks assumed in their area. Avoid the stress of rejected claims when damage occurs to a property. Get the type of coverage needed and know about any exclusions or limitations before agreeing to a policy.